Comet ISON, composite enhanced image. 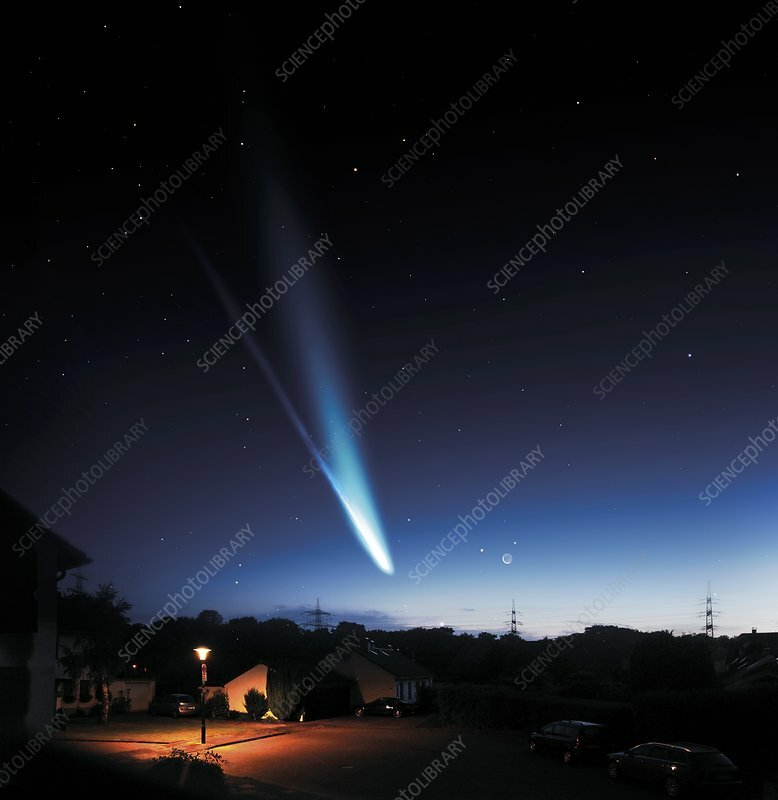 Discovered in 2012 using the International Scientific Optical Network (ISON), it was predicted that comet ISON would be one of the brightest comets in history as it passed Earth in 2013. However, most of comet ISON disintegrated as it approached its perihelion (the point at which it passes closest to the Sun). It is thought that this is because it was not large enough to withstand its trajectory around the Sun.